Ductile iron is made from 100 percent recycled scrap iron and steel, and the final product is recyclable after its long, useful life. 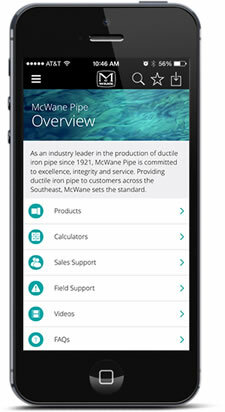 All ductile iron pipe manufacturers have a “buy-back” policy on ductile and cast iron pipes that have been removed from service. If you ship material to them, they will pay the going rate for scrap iron and steel. The manufacturing process includes environmentally sound practices. Process water streams are recycled within the manufacturing process, and there are minimal water discharges. All waste waters are treated on-site before release. Spent foundry sand is recycled and used as a construction material. Contaminants are removed from gas streams so they do not vent to the atmosphere. Iron pipe and fittings' performance is also environmentally responsible. The larger inside diameter of ductile iron pipe (compared to substitute materials) means that, for a given flow, it takes less energy to pump through ductile pipe. With its wall thickness and corrosion control, ductile iron pipe has a minimum anticipated service life of 100 years. Impermeable to organic contaminants, ductile iron pipe protects clean water from environmental spills in the ground and protects the environment from contaminants in wastewater.